Thinking about heath in 2019, your year will be overall good for health. But for people who are having obesity issues and have sitting lifestyle will have to take some care about their health. Necessary steps of fitness will be required from the start of the year itself. Habits of regular jogging and going to gym will be needed during this time. Special care will be required for health especially from the middle of April till August. Some emotional mischief incidents may happen during this time which will cause effect on your health. You should take care of eating-drinking during this time. There might be digestion issues. Eating time-table might not be maintained due to workload and the health may get affected due to insufficient rest, so care should be taken, as is seen in your Pisces health horoscope 2019. Even though you have a hectic lifestyle, make sure you make time for exercise, food and sufficient amount of water. Eat a balanced diet and avoid eating oily street food. If you maintain all this you will be safe from ailments and many other types of health issues. The mid of April till August is not a good period for your health, take proper precautions and keep yourself hydrated. If you are having obesity issues join the gym and set a target to reduce weight, according to Pisces health horoscope 2019 you will be successful in it. This year is a going to be beneficial for all Pisces people and you will enjoy the benefits of good health only if you have a strong mind to fight your present sickness and make efforts to prevent anything that can lead to the deterioration of your overall health this year shows your Pisces health horoscope 2019. You can have a cheat meal once or twice in a month, but don’t always stick to that, make sure every meal has a helping of at least one type of vegetable every day. People suffering from heart disease and other chronic ailments have to be very careful this year. Avoiding your health can pose a threat to your life as well. Women should take care of their reproductive health and also visit the gynecologist for any infection or sickness. Even if you are going to work, pack a healthy meal from home and avoid eating from the canteen, so states your Pisces fitness horoscope 2019. Don’t compromise on your sleep this year; it might be very bad for your health. According to 2019 health horoscope for Pisces, it is mandatory for working people to get at least 7 hours of sleep every day. Don’t neglect your sleep for your work. If you aren’t healthy, your body won’t function well at work. 1. Be very cautious from April to August, take extra care of your health and avoid eating unhealthy junk food. 2. If you take care of your health, you will see drastic improvements in your life and have a healthy-happy life. 1. Go to the gym regularly and you will be able to kick off obesity this year. 2. 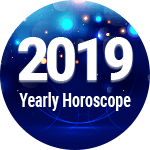 As per Pisces health horoscope 2019, if you be extra cautious this year, you won’t have to face any serious health issue and everything will be under control. Pisces Health And Fitness Horoscope 2019 Overall rating: 4.1 out of 55 based on 934 reviews.